If you think Apple invented the AA Rechargeable Batteries may be you should pay attention to following pictures. Apple is always so particular to mention their brand representation and information about their creativity. How did they miss out on these batteries ? Do not dispose of in fire or short circuit. Charge only with an Apple specified charger. Made in Japan. 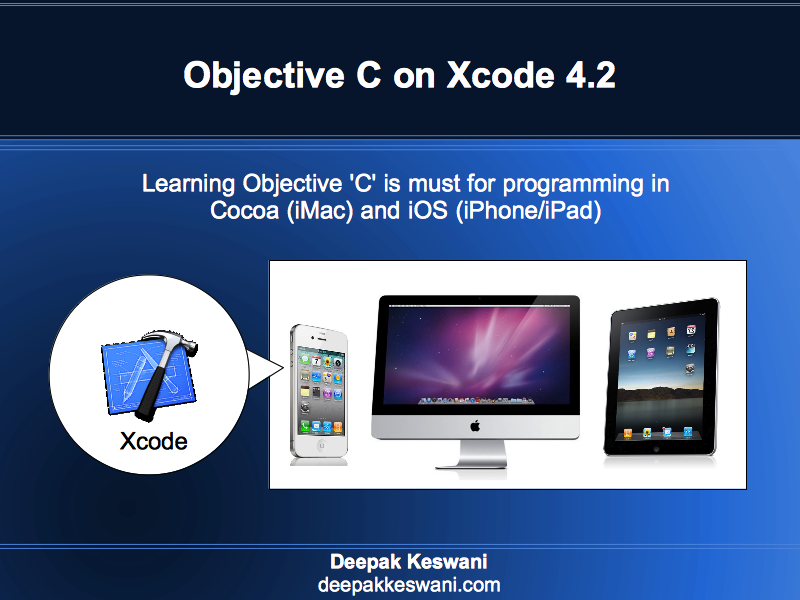 Apple brand is conveniently or intentionally being missed here. Apple brand is accurately covered on the charger but not on the batteries. Battery Charger. Designed by Apple in California. Assembled in China. Model A1360. For use with NiMH Batteries. TM and © 2010 Apple Inc.
ITE Batter Charger Accessory 72PK E207236. The fact is Apple invented the sleek light weight elegant looking safer Charger, but they did not venture into the batteries. 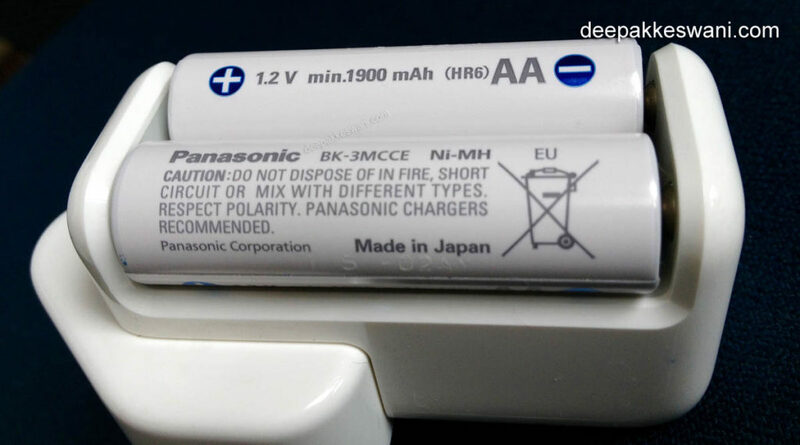 Apple actually unbranded the Panasonic / SANYO eneloop AA Batteries and bundled these with Apple AA charger. Apple has now discontinued both the products from their store as new Apple Keyboard, Magic Mouse or Trackpad has inbuilt Lithium ion Battery and charges with Lightening cable. 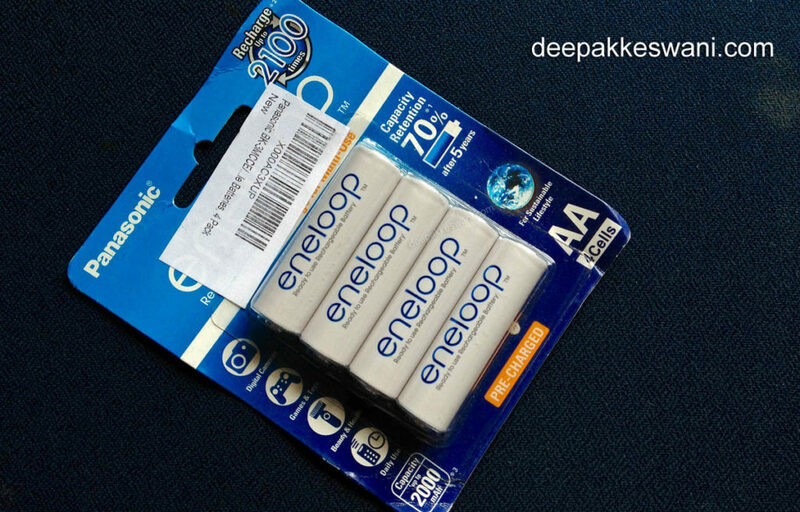 In case if your Apple Rechargeable Batteries are worn out and looking for perfect replacement you can order Panasonic eneloop upto 2000 mAh capacity batteries. These are the perfect ones which were re-packaged by Apple. 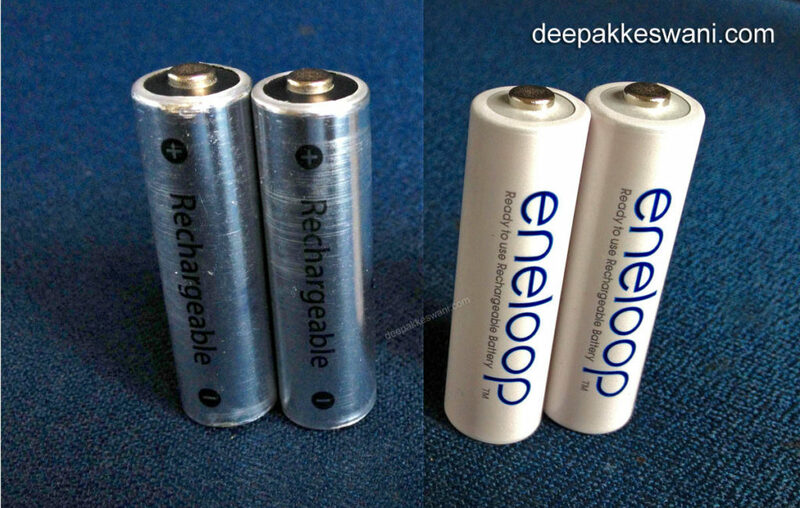 Panasonic eneloop Batteries. 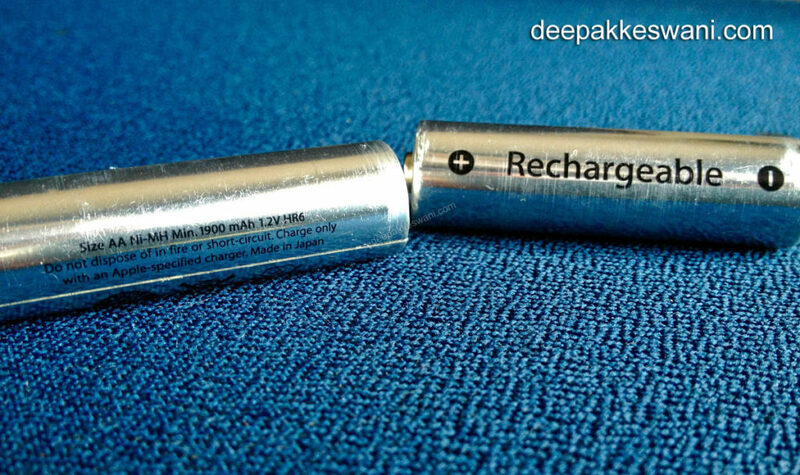 Ready to use rechargeable battery. As per the energy specifications these batteries perfectly fit in Apple wireless Keyboard, Magic Mouse or Trackpad. 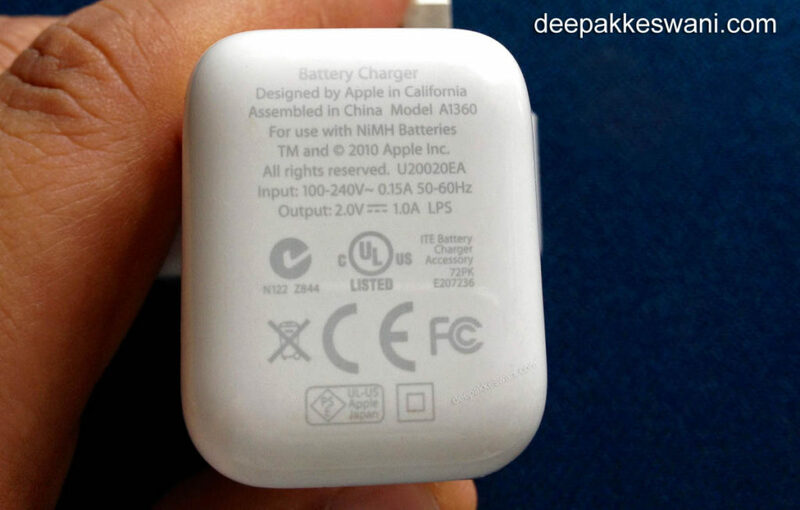 Apple Battery Charger also shows appropriate light of Amber while charging and green when completely charged. 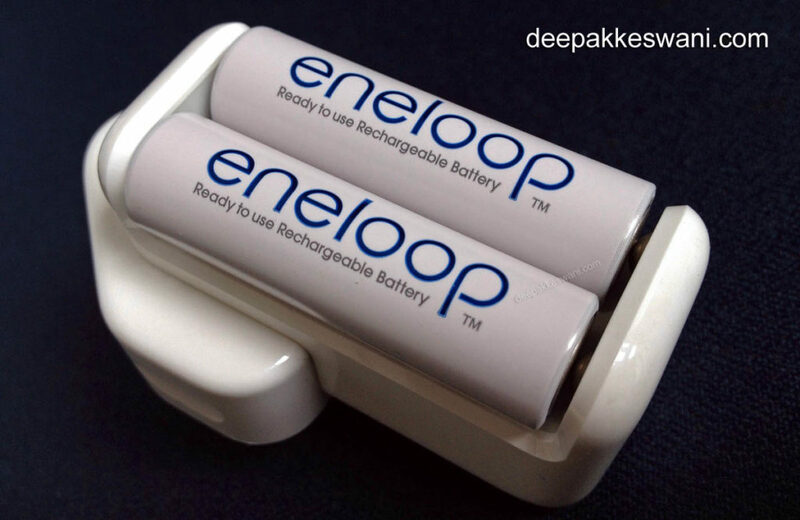 Why Apple choose Panasonic / SANYO eneloop batteries ? because they perform much better than any other re-chargeable batteries. They have low self discharge & capacity retention of 70% even after 5 years. Recharge upto 2100 times though some conditions apply to these claims. This pack of 4 batteries costs Rs.1000 in India but you can order these from Amazon for only Rs.750. No shipping charge. 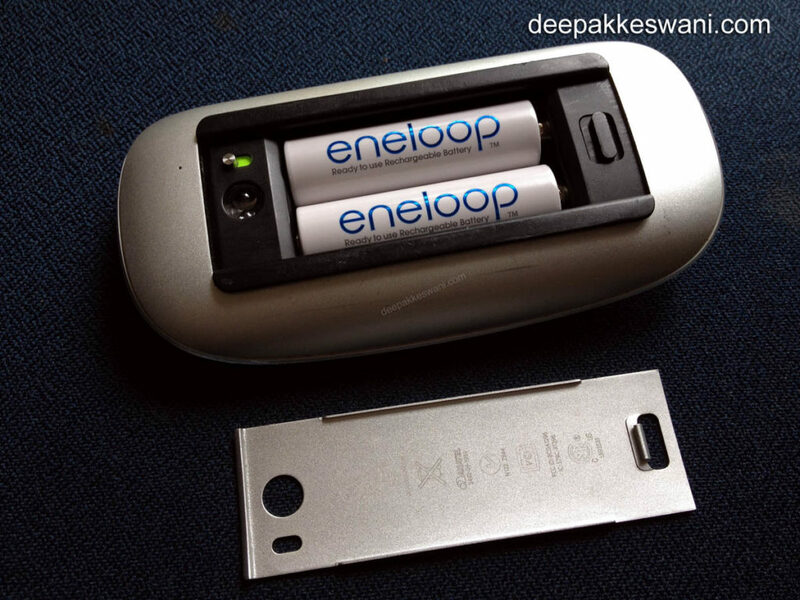 Panasonic / SANYO eneloop AA Rechargeable batteries in Apple Charger. Panasonic BK-3MCCE Ni-MH. 1.2V min.1900 mAh (HR6) AA Battery. Made in Japan by Panasonic Corporation. Thank you. I was searching for alternatives for my Apple AA battery charger rechargeable cells. 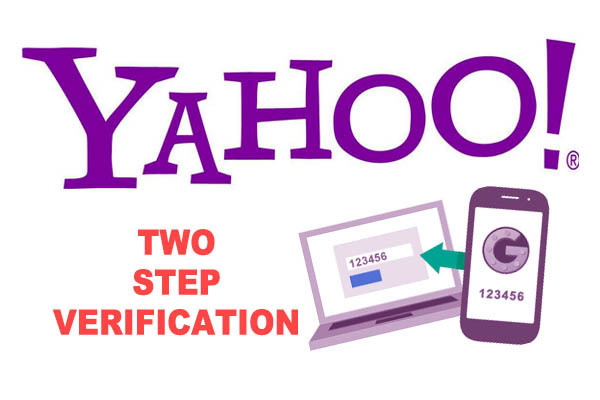 This information helped me.